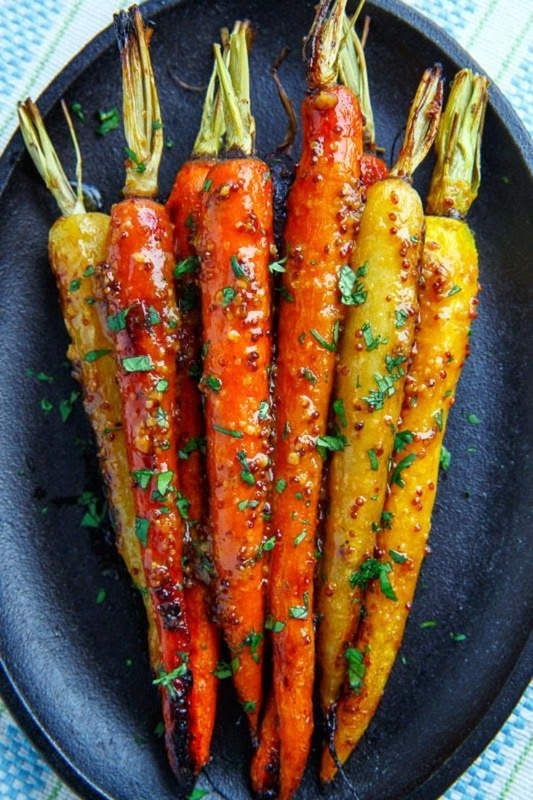 Maple Dijon Roasted Carrots By Closet Cooking. Sweet and tender roasted carrots in a tasty maple dijon glaze. Super easy side dish for you that is perfect for Easter, or any other dinner for that matter.